We are fortunate to have such compassionate and supportive doulas on our team. Lisa Falkenstein graduated from Kent State University in 1997 with a BA in Family Studies. After working in various social work positions and working with many families in various capacities, she has found her calling. Lisa’s love for families, motherhood, and breastfeeding led her career choice as a postpartum doula in Cleveland. Helping build families, establishing breastfeeding and empowering women is her passion, and as a result she completed her certification as a Postpartum Doula and a Breastfeeding Educator through Birth Arts International, became a Certified Newborn/Infant Massage Instructor through Baby’s First Massage, and a Certified Belly Binder through Sacred Pregnancy. After working for over 8 years part-time through mostly referrals and full-time since 2013, Lisa founded Nurtured Foundation LLC Postpartum Doula Services in late 2014. Ashley became a birth doula and placenta encapsulator after her doula supported own birth experience with her third baby. She has also been supporting families in Cleveland as a postpartum doula when she realized the real need for support her clients were experiencing after birth. 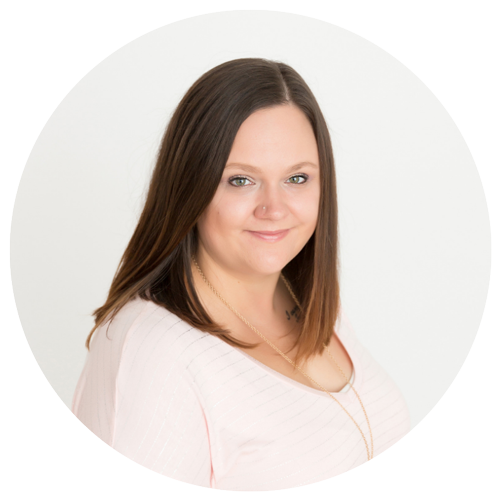 Ashley is dedicated to helping her clients have an empowering, positive birth experience regardless of what is on their birth plan. She has attended births at 9 area hospitals and feels it is very important to work as a team with her clients care provider and nurses during their birth. She has trained with ProDoula, Stillbirthday and Sufficient Grace Ministries as a birth and bereavement doula and Birth Arts International as a postpartum doula. Ashley completed her Encapsulation training through PBi. When she is not working you can find Ashley keeping up with her three children, Jack, Ella and Henry and spending time with her husband. Ashley is always looking for ways to expand her knowledge and training though continuing education. 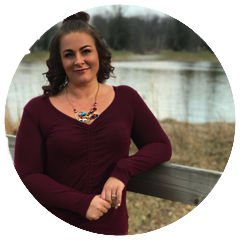 Jessica is a postpartum doula and a licensed massage therapist at Nurtured Foundation serving the Greater Toledo & Southwest Michigan Areas. Jessica has always loved giving support to friends and family during their pregnancies and after they gave birth. Her passion for helping new families and that is what lead her to become a doula. 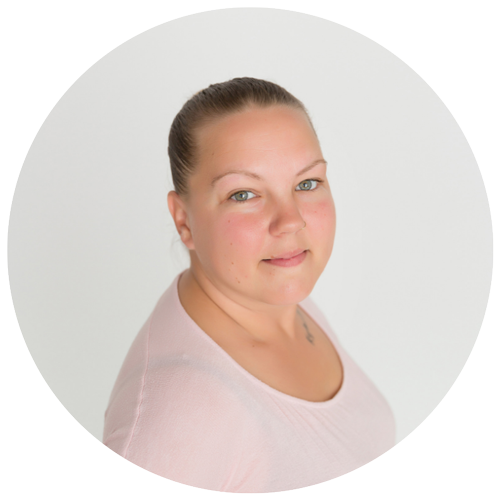 Jessica uses her natural abilities, training and skills to assist our postpartum families. She enjoys working with families during the day assisting in newborn care, educating and house management. She is trained through Birth Arts International as a postpartum doula. 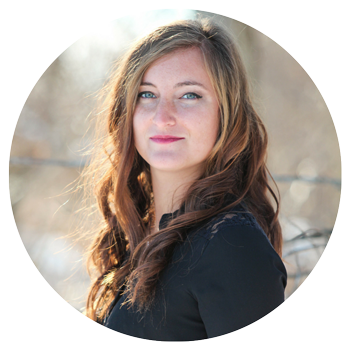 In addition, Jessica is a licensed massage therapist (LMT). 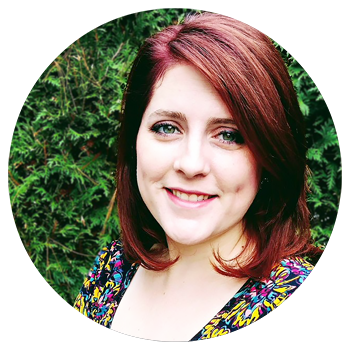 Jessica has additional certifications in prenatal/postpartum massage and aromatherapy. Jessica hails from Lambertville, Michigan. One of her favorite things to do is to find new restaurants or places to have a fun night out with friends. Joelle is a certified birth doula. She fell in love with childbirth a little over 5 years ago when she witnessed the birth of her niece. She knew then and there that her life would never be the same. Joelle is a certified birth and bereavement doula though SBD. She is also trained with Birth Arts International as a Postpartum Doula. Serving women and their families through pregnancy, labor and postpartum has truly become her heart’s passion. She plans on expanding her skills to include becoming certified as a Lactation Educator to better serve Moms and families. Joelle lives on the east side of Cleveland with her husband, Chris. She and Chris are expecting their first child in May. In her free time, she loves to travel, or get together with friends over a cup of hot coffee and talk about life, spend time with my husband, read a good book, or go to the movies. She is originally a Youngstown girl, so she has had lots of fun exploring Cleveland and all it has to offer. Emma offers birth doula services to the Cleveland area. Her passion for birth began with her first birth and just grew with her second. Emma had a birth doula for both her births and she saw the value in birth doula work. She began her journey into the birth world by offering placenta encapsulation services. Emma’s second child was a VBAC (vaginal birth after Cesarean) and her passion for all things birth went full force. Emma is trained through DONA as a birth doula. She continues to expand her skills and is also trained in TENS and Rebozo. She has a passion for supporting families in all their birth choices and believes in unconditional support. Emma holds a special place in her heart for military families. As a member of The United States Air Force, she understands the unique challenges that military families face during pregnancy & birth. In addition to birth doula work and her military service, Emma is also a mother of two beautiful children. Emma and her husband reside on the westside of Cleveland with their children and their kitty. 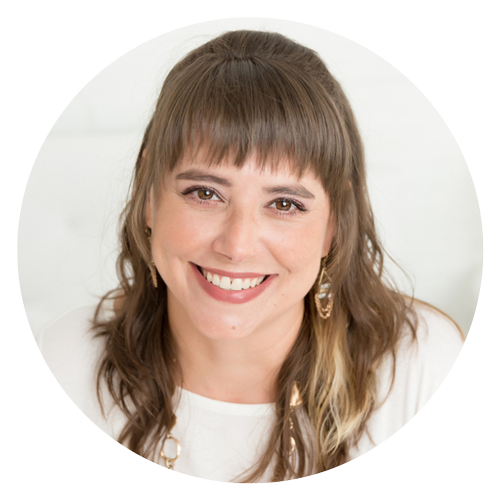 Merav Minkin was a graphic designer and event planner for 10 years prior to finding her true calling as a doula in 2007, when she gave birth to her second child. When he was 5 months old, Merav packed up her suitcases and 2 kids, and drove to NYC to attend a DONA Birth Doula training. Since then, Merav has attended close to 300 births in various hospitals, birthing centers and homes. She also began to pursue her goal of becoming a Certified Nurse Midwife, and graduated from Nursing School in December 2015. 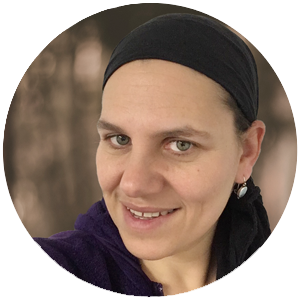 Skillfully combining her knowledge, experience, and calm, gentle manner, Merav is able to facilitate positive birthing and postpartum experiences for each mother and family that she supports. Merav is deeply committed to helping women and families learn about birth options, evidence based maternity care, and postpartum healing. She also enjoys connecting families to local resources for the childbearing year. Merav provides birth support as well as postpartum care and overnight infant care. Her special areas of experience include; first time mothers, vaginal birth after cesarean (VBAC), home birth, previous traumatic birth and high risk pregnancy. Merav lives in Cleveland Heights with her husband, three children and cocker spaniel. She enjoys baking, reading, and spending time with her family. Amanda Cruz is a day & night postpartum doula. She is very passionate about her job helping families during the postpartum time. Amanda has over two wonderful years under her belt as a trained postpartum doula and has learned much more hands on through her years of work. She is a proud mother of four children, and is excited to share her experiences as a mother and postpartum Doula with the families she has the honor of working with. Nurturing mothers and their families brings her so much joy. Amanda loves being able to help families enjoy these very precious times they have bonding with their babies and families. Amanda resides on the west side of Cleveland with her husband and their four children. She services the greater Cleveland area day & night with her postpartum services. Marlene has a BA in Liberal Studies with concentrations on psychology, pastoral care and missions from Oral Roberts University. She has always been an advocate for family cohesiveness as well as for the voiceless in society. She has worked as a certified nurse’s assistant, a certified sitter through ‘Seeking Sitters, a Health Connect One trainer for community-based doulas and has volunteered as a court appointed special advocate for foster care children(CASA). She is also a volunteer doula for Northeast Ohio Doula Collective. She feels divinely called to help families fully embrace the miracle of life; from pregnancy, labor, birth and helping parents transition into parenthood well. Marlene’s revelation to enter into the birthing process as a doula came when she watched the miracle of life unfold during a natural birth she witnessed over 2 years ago. Fully fascinated, it activated a deep desire to be a birth professional. Since then, it has been her life’s goal to support families through the incredible birth and postpartum experience. She believes the family structure should be protected and supported, as it’s the foundation of society. She offers emotional and informational support to the parents and advocates on their behalf during pregnancy and labor. Marlene completed her training to become a childbirth worker with Mamatoto Village, Inc. through Birthing Beautiful Communities in September, 2016 and completed MVI Perinatal Community Health Worker training in December of 2016. Over the past year and a half she has attended to 17 births and counting. Marlene is an avid traveler, she has traveled to 19 countries and over 25 states. She enjoys meeting people and exploring different cultures. She has recently been intrigued by the holistic approach to the birth process in other countries. Consequently, next winter she plans to volunteer with midwives in rural villages in Ethiopia incredible birth and postpartum experience. She believes the family structure should be protected and supported, as it’s the foundation of society. She offers emotional and informational support to the parents and advocates on their behalf during pregnancy and labor. Marlene completed her training to become a childbirth worker with Mamatoto Village, Inc. in September, 2016 and completed their Perinatal Community Health Worker training in December of 2016. Over the past year and a half she has attended to 17 births and counting. In the future she plans to train and study with midwives in rural villages in Ethiopia. Alanna is a Newborn Care Specialist (NCS) and Postpartum Doula who works with families in Northeast Ohio to help “mother the mothers” and “baby the babies” with compassionate and evidence based care backed by years of experience. Alanna knows that every pregnancy, birth and baby comes with unique challenges and she recognizes that the support she can offer will help to ease families through these transitions as they welcome the new members of their family home. Alanna has supported postpartum families both professionally as an NCS/Postpartum Doula and on a volunteer basis with her local La Leche League chapter and Babywearing International chapter. In addition to this, she has four children of her own. She especially enjoys supporting parents of premature and NICU babies since she has experience with her own preemies and knows first hand about the emotional toll this can sometimes take on the entire family unit. Alanna completed her Newborn Care Specialist training through the CAPPA (Childbirth And Postpartum Professional Association) approved program, “Newborn Care Solutions” and has plans to continue to educate herself to provide the highest standard of care to her clients. In her down time, Alanna enjoys running and loves signing up for challenging races while her supportive husband, and children cheer her on. She and her family enjoy being involved with their church and really love spending time being active outdoors or in the community recreation center.